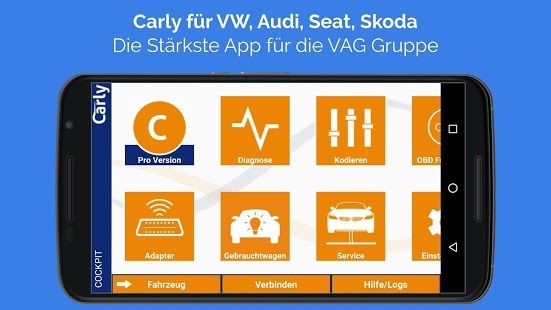 msternie, proud to be a member of GarageForum since May 2018.
bugmenot, proud to be a member of GarageForum since Jun 2016.
or is the procedur the same with porsche app? bug77, proud to be a member of GarageForum since Sep 2018. Hi can anyone give me a link to an adator that works ok. I have bought a elm327 bluetooth but will not connect to car. Car is a 2014 vw passat 2.0 tdi. Any help to which adaptor is tried and working much appreciated. woodywoodpecker, proud to be a member of GarageForum since Dec 2015. Frykas87, proud to be a member of GarageForum since Dec 2018. Is there a possibility to get it for iOS? THX! Current time: 04-26-2019, 09:49 AM Powered By MyBB, © 2002-2019 MyBB Group. Theme created by Justin S.